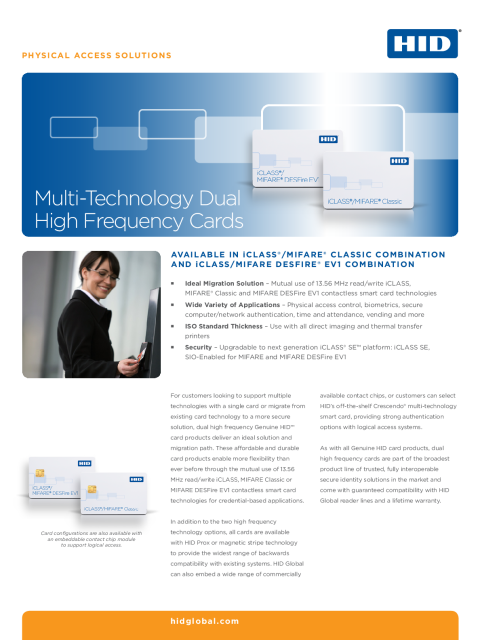 Smart cards incorporating iCLASS + MIFARE Classic or iCLASS + MIFARE DESFire EV1, with HID Prox, are great for organizations with multiple reader types and for those transitioning from one smart card technology to another. 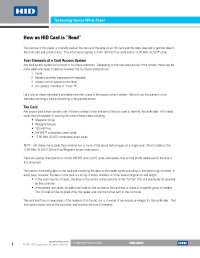 Lifetime warranty for embedded credentials is only valid for the "Embeddable" line of HID Credentials. The warranty covers the card body only, not the embedded contact chip. MIFARE DESFire EV1 is based on open global standards for security, and is interoperable with existing MIFARE DESFire infrastructures. Transaction times are less than 100 milliseconds for a typical secure ticketing transaction. 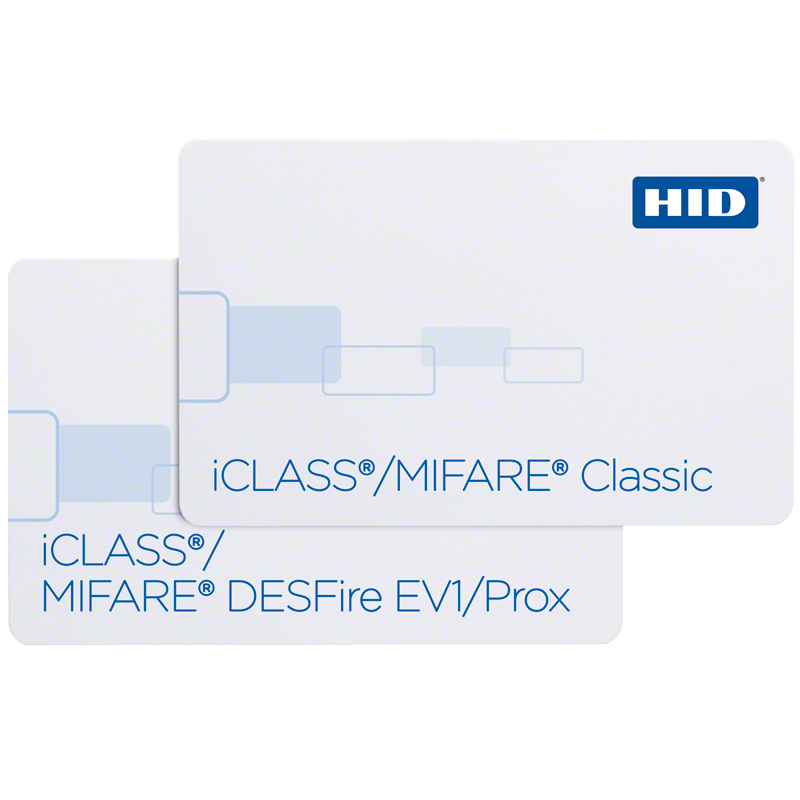 MIFARE DESFire EV1 is fully compliant with ISO 14443A 1-4, and has been awarded Common Criteria (CC) EAL 4+ for card security. 8k Bytes of dynamic memory is arranged in easy-to-define application folders and data files. All those cards are delivered as an ISO/IEC 7810 ID-1 Card format.